Making a toddler crochet hat is always a fun endeavor. It's the perfect size for a small project; quick enough to get done in a day but interesting enough to inspire your creativity. Toddlers love whimsy and fun so you can play around with color, shapes and styles when making hats for them. No matter how creative they are, these hats are also really practical since they keep a child's head warm on windy or chilly days. Many hats designed for toddlers also come with information to make additional sizes, which you can use to craft family hat sets or to make sure that your toddler still has her favorite hat when she outgrows the first one. These ten crochet hat patterns for kids are all free, all fun, and all worth checking out if you love to crochet for little ones. 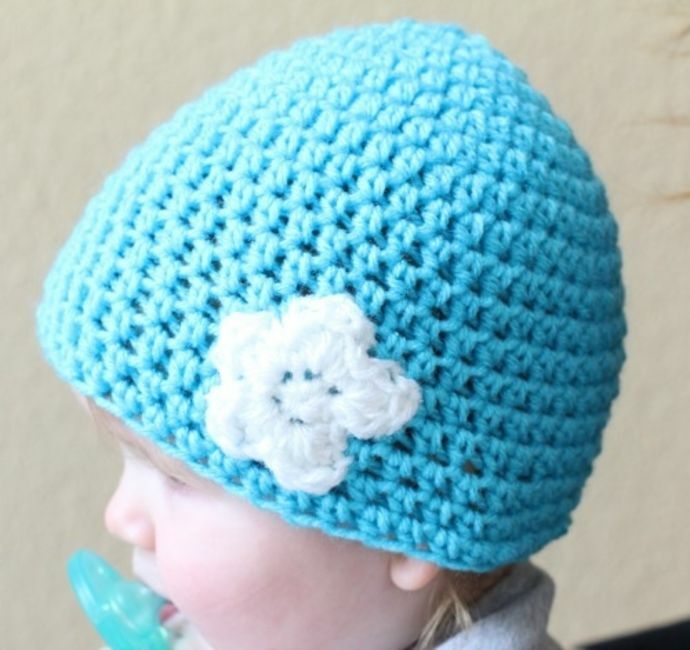 There is a lot that you can learn about making a crochet toddler hat using just this one post. This simple hat is made using half double crochet stitches, which is a great basic stitch to use for hats of any age since it's dense and warm. You will learn the basic increase for making a beanie-style hat and how to grow a hat to suit a person of a larger size. You will also learn how to begin a crochet hat with the magic circle technique and how to add a crochet flower appliqué to a hat. All of this instruction is supplemented with a detailed video crochet tutorial. Make a little sprout hat for your own Little Sprout who is quickly growing up into a big tall plant! The hat is made with half double crochet stitches, while the leaf atop the hat is crafted using a combination of hdc and double crochet to achieve the correct plant shape. The hat pattern is available in two sizes for 6 - 24 months. One of the most popular types of crochet toddler hats is the animal hat, which adds details on to a basic hat to make it look like some type of animal. Toddlers love animals whether it's their own pet, an exotic zoo animal or a whimsical creature they've read about in a storybook. It is exciting for them to wear crochet hats that represent those beings. This crochet lion hat is designed by Lovable Loops who has a terrific assortment of free animal hat crochet patterns including one for a unicorn, a narwhal, and a llama. The patterns come in sizes sizes from newborn through adult with one size specific to toddlers. The basic hat is made first and then you add the ears, nose, hat and mane using detailed instructions for assembly to complete the hat. Keep your toddler's soft skin safe from the sun with a precious floral sunhat. This pattern is made using a very lightweight yarn, so it's comfortable in warm weather. A combination of surface crochet and appliqués leads to a fun three-dimensional design effect on the outside of the hat. The pattern size is adaptable to different ages. Toddlers love bright colors and bold textures, and this is the perfect crochet hat to met those requirements. 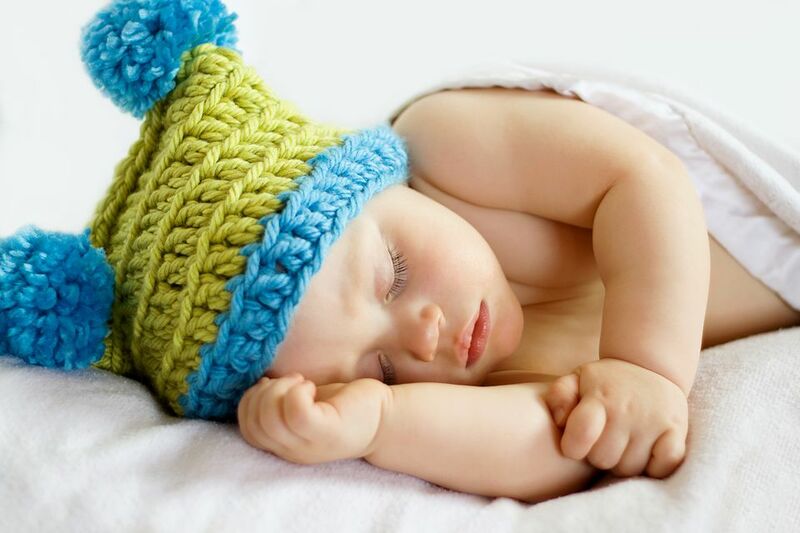 Your little one will love to touch his or her own hat to feel those bobbles and the plush pom at the top. In addition to working with bobble stitch, this pattern gives you the chance to practice working in the third loop of half double crochet to get the knit-like rows. This crochet hat is a one-skein project made with self-striping yarn, and you can opt for a less-bright color combination if so desired. The pattern is written for three sizes: toddler, child and adult. One of the things that is important with children is that you keep their ears protected from the wind. This crochet earflap hat fits the bill. Add the heart appliqué for Valentine's Day or just because you love your baby. This comes with sizing options for a baby hat and a toddler hat. Everything about this hat is perfect for a toddler from the textured crochet crocodile stitch to the light-but-bright color choice. The big owl eyes will delight the child wearing the hat as much as how cute it is delights everyone else around. One of the fun things about toddlers is that their imagination allows them to make friends with inanimate objects. If you have a little one that loves trains then this crochet hat with an animated train face on the front is a terrific pattern to choose. It comes in three color ways with slightly different facial expressions on each. Crochet designer Lace Kennedy explains that this crochet hat was designed to look like a particular hat off of a very popular toddler TV show called Paw Patrol. In this show, each character (a pup, hence the ears on the hat), has a special skill and one of them flies a pink helicopter. Whether or not your toddler loves the show, the hat is sure to bring a smile. This crochet hat has just about everything you could want: it's animal-inspired, includes are flaps with the options for braids, and comes in both "boy" and "girl" styles. It is available in three sizes, starting with toddler. This version is a worsted weight version but it also comes in a bulky yarn version for people who want a quicker, thicker style of the same crochet hat.